VietNamNet Bridge – A Vietnamese delegation will travel to the United States to select players of Vietnamese origin for the Viet Nam Basketball Association (VBA) tournament. The event, Viet Nam’s first professional basketball tournament, is scheduled to kick off in August. The Viet Nam delegation includes managing director Nguyen Tang Cuong of the VBA, Sai Gon Heat coach Anthony Garbelotto, assistant Dave Singleton and Sai Gon Heat player Viet Arnold. Six clubs from HCM City, Ha Noi, Da Nang and Can Tho will participate in the VBA. According to the event’s rules, each club is allowed one foreign player, two players of Vietnamese origin and 10 domestic players. Selections will take place on May 20-22 in Hope University in Fullerton, California, Cuong said. Cuong said Viet Nam had chosen to seek talent from the United States because basketball was very developed in the country and there were many players of Vietnamese origin who could help promote the sport in Viet Nam. “This is a really important project and a huge step for Viet Nam’s basketball. It will also give a chance to Vietnamese players living overseas to return to their country to promote this sport,” Cuong said. 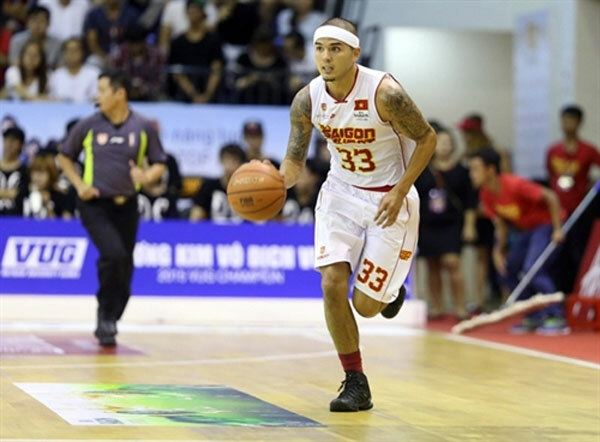 “Sai Gon Heat is one of Viet Nam’s successful basketball teams, but we need more teams for long-term success. We need to take advantage of the human resources and talent in the world to improve Viet Nam image and position in the world of sport,” Cuong said.